Accommodates most physical requirements with the optional platform attachments. 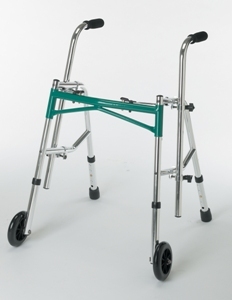 Handles adjust without tools to an infinite number of positions to provide stability and posture. 90 degree bend standard (Tyke models are 45 degrees). Extra wide base provides stability, safety and balance. 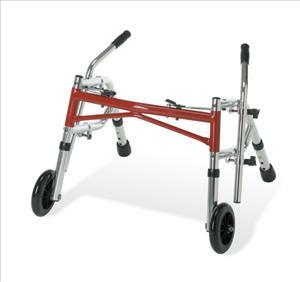 Outfitted with 5" front wheels to easily roll over irregular surfaces. Tyke-Red.